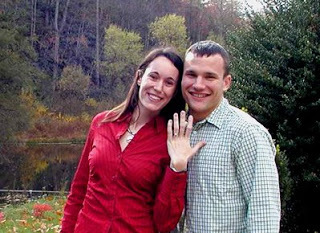 Congratulations to our guests John and Ashley (pictured above, at the Inn) on their engagement! This was their first time staying at the Inn on Mill Creek. John proposed to Ashley at Chimney Rock with the beautiful backdrop of Hickory Nut Gorge, and Ashley said yes! We wish them the very best as they plan their big day and their lives as husband and wife. We also take a moment today to express our appreciation to our past and present guests who are veterans and to all the other veterans out there — thank you for your service! This entry was posted in Uncategorized and tagged guests by Inn on Mill Creek. Bookmark the permalink.